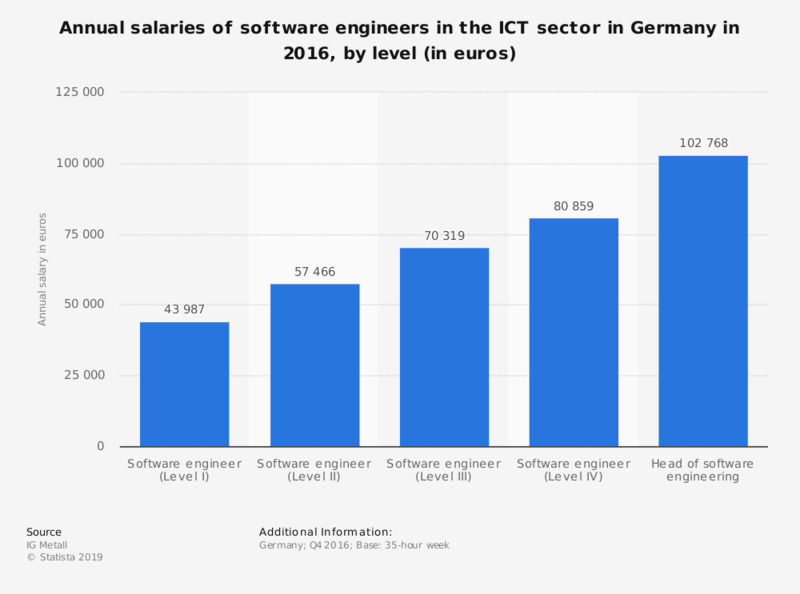 This statistic shows the annual salaries of software engineers in the information and communications technology (ICT) sector in Germany in 2016, broken down by level. In the period of consideration, a level I software engineer earned an average of 43,987 euros. The figures are based on a 35-hour week.